Each piece of furniture begins when new ideas take shape and inspirations converge. These moments are fluid and fleeting and quick documentation is important, so I keep a sketchbook and pencils close at hand to capture these spontaneous moments. 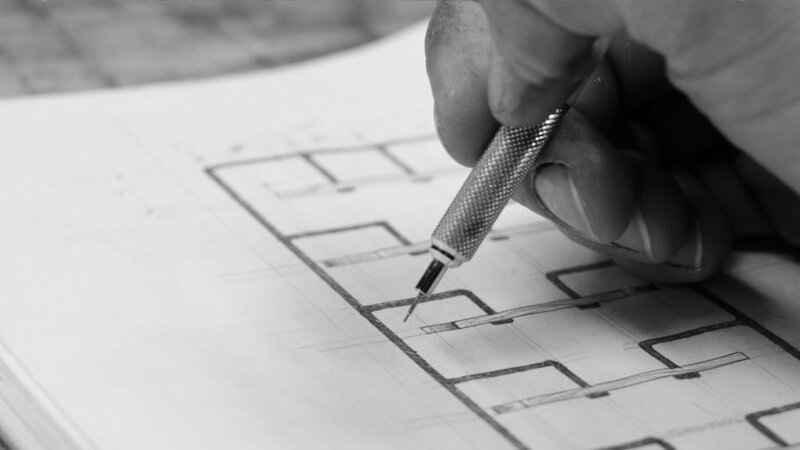 Through my sketches, I am then able to reflect and develop only the strongest concepts to bring them to a working design. 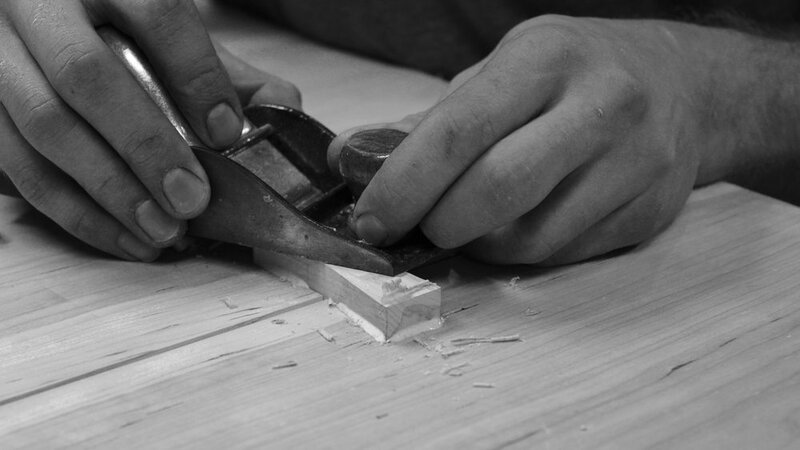 Material selection is perhaps the most important step in furniture-making. Factors such as specie, grain direction, figuring, defects, and a board's size and shape are all taken into consideration when choosing materials for a project. The addition of a Timberking 2000 sawmill has opened new doors and now allows me to control the process of furniture making from tree-to-table. Through the process of thoughtful milling and monitored seasoning, I am able to transform a simple log into beautiful furniture-grade hardwood lumber. The beauty and structure of fine furniture often lies in it's joinery. I pride myself in creating furnishings that are hand-crafted using traditional joinery methods such as the butterfly key (pictured), dovetailing, bridle joints, and through mortise-and-tenon joints. Often times these time-proven techniques are simply the strongest, but in some instances, modern joinery methods are indispensable and are thus used accordingly. Furniture is an object that is to be lived with, so it should be pleasurable to touch. To create a soft, smooth, inviting surface, I use all-natural drying oils and waxes. Sutherland and Welles Drying Oils are my primary finishes-of-choice for fine furnishings. Their proprietary formulation of Tung Oil and resins make them very resistant to moisture and chemicals while also providing an excellent feel. Through the use of all-natural and readily available finishes, I am able to ensure my finish is both safe and easily repairable while also providing the highest quality surface.